Article on HK home property prices - sounds familiar? There are breathtaking views of Victoria Harbour from a 23rd-floor apartment that recently sold for US$722,000 in the new Le Riviera building. The high-end German appliances and marble countertops evoke European luxury. In the entrance of the building, colorful wire mesh sculptures by Spanish artists hang in the ceiling. There is just one catch. The apartment is only 275sqft, with a bedroom just large enough to accommodate a double bed. 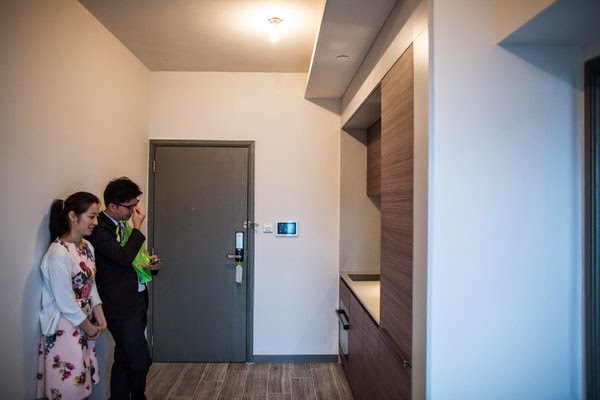 "If we don't buy now, we might not be able to afford it later," said Frank Wu, 60, the new owner of this so-called microflat in Shau Kei Wan, a former fishing village on the north-eastern edge of Hong Kong Island. Real estate in Hong Kong defies logic. The city is one of the most expensive places in the world to live and it has smashed one real estate record after another for years. As property costs continue to soar, even once improbable living spaces are now getting snapped up at astronomical prices. At Le Riviera, three-quarters of the units sold so far have been microflats like the one Mr Wu purchased. And Hong Kong developers are putting smaller and smaller units on the market - one recently built 165sqft apartments. For many young adults who live packed and stacked in with their parents, it is becoming harder to imagine having a place to call their own. Rents have skyrocketed. And some here now worry that the real estate market could stumble, particularly if the US Federal Reserves starts to raise interest rates next year. Lending in Hong Kong is tied to the American rates. From a low point of Hong Kong's property market in 2003, average house prices have increased by more than 300%, according to data from the Centa-City Index, which is compiled by the real estate agency Centaline and the City University of Hong Kong. Helping to propel this rise has been Hong Kong's thriving economy, which significantly expanded over the last 10 years after the rapid growth of China. Strong demand from wealthy mainland Chinese and limited land supply have also helped to prop up prices, although this effect has slowed since the government put into effect a series of cooling measures, like additional taxes paid on property purchases. First-time buyers now dominate the market, spurred on by the ultra-cheap interest rates, which is currently below 2%. But the frenzy in Hong Kong's property market may soon fade. The Hong Kong dollar is pegged to the US dollar, so the interest rate policies are linked. When rates go up, those who have borrowed money to finance new homes will feel the effects as their mortgage payment rise. This concern is more pronounced in Hong Kong, where mortgages are not set at a fixed rate. "They are making themselves slaves to the property market," said Nicole Wong, property analyst at CLSA. Many Hong Kong residents still remember the last property bust, which was set off by the Asian financial crisis in the late 1990s. As Hong Kong's economy took a hit, unemployment rose and deflation set in, chilling prices. The outbreak of Sars in the late 2002 exacerbated the descent in prices by mid-2003, property prices had hit rock bottom. But developers seem undeterred for now. They continue to build new properties, increasingly with incentives like tax waivers, which can amount to as much as a 10% discount. Microapartments are a small part of the offerings, but they are growing, with a handful of developers jumping in. 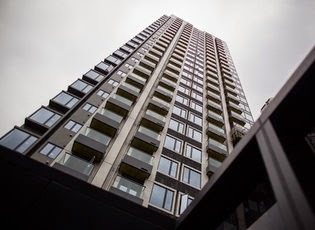 This is partly because the overall price tag looks cheaper than bigger units - especially father afield from Hong Kong island - making them more affordable to a wider swath of buyers. 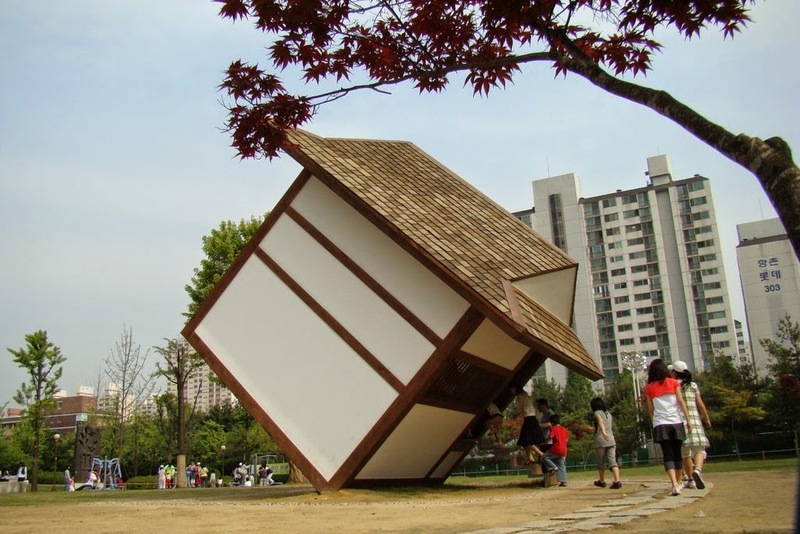 Even by Hong Kong standards, the latest apartments offered by Li Ka-Shing, are remarkably small. At Mont Vert, developed by Mr Li's company Cheung Kong Properties, some units range from 165sqft to 196sqft. Propspective buyers interested in a recent batch of similar units were not even able to see them before they agreed to buy, a common occurrence in Hong Kong. Mr Wu, who acknowledged the risks of buying the Le Riviera flat when prices were so high, does not seem too concerned. He said that he and his wife could always move in. Surveying the empty bedroom, he added, "It's all right for me." Although the situation in Singapore is not quite as severe as that of Hong Kong, the wife and I can certainly draw quite a few parallels between both markets - the lure of low mortgage rates, the risks of over-commitment once interest rate rises and the fact that developers are pushing out smaller and smaller apartment units to provide the illusion of "affordability" despite charging sky-high psf. No Comment to " Article on HK home property prices - sounds familiar? "